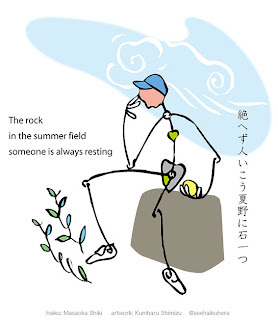 Haiku by Masaoka Shiki. Artwork by myself. Last night, I commented on someone's painting on Face Book. A flood of responses came from fans of the painter. I only asked the painter what the focal point of the painting was, and all the responses talked about interpretation, and preference. When my concern was about the structure of painiting, they only talk about "feeling". I found that FB was not a proper place for artist to artist discussion on topics like what makes painting, both structurally and poetically. My mistake of choice of place. I chose a market place instead of a quiet art studio. I remember a discussion I had with Hiro Yamagata at his LA studio some years back. We both know what it takes for a painting to be a sound painting (structure of painting as discussed by someone like Paul Klee). We were able to discuss from there and beyond, to the realm of poetical content of painting. 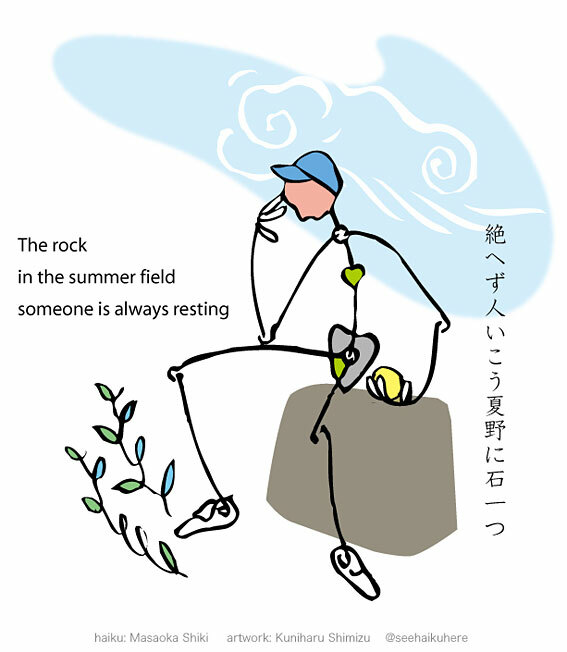 In quietness, I put together what is on my mind in the new posting "Painting and Haiku". This is what I wanted to discuss at FB.